my question is; what exactly causes the table to get "full"? 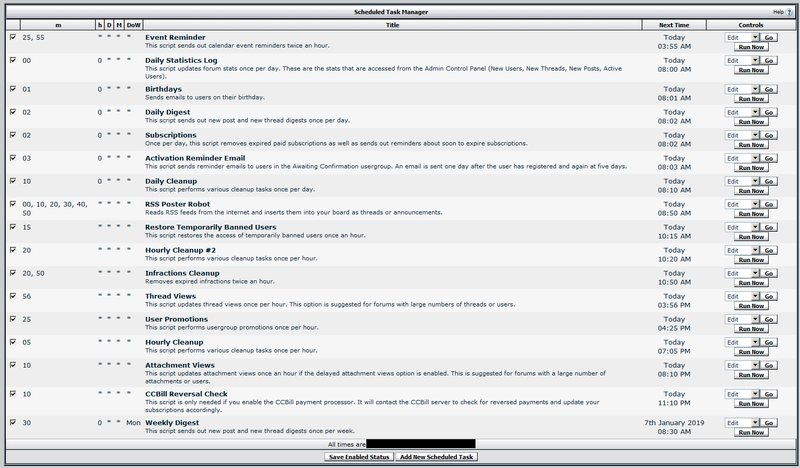 in over 10 years of hosting my small vb forum via godaddy (yes, godaddy) i never had that issue. one thing GD does, is give you very generous "limits" with any of their plans; hdd space, database sizes, and all that. so maybe it never got full at GD because i had plenty of "resources" to handle much larger table "sizes" than now?!? 1.) is that specific table size limited by the forum software or my host? 2.) if it is a hosting limit, what setting on their server should i ask to be increased - assuming they would comply. fyi; it was chinese hackers/army "flooding" my site that caused this table to get filled and make the forum site "crash" with a database error. that is why it happened. so it is either that for 10+ years at GD i was never "hassled" like this, or i was, and like i postulate, had plenty of resources to deal with it and so never noticed. i was getting like 200+ "visitors" each day non stop. sometimes more, and my "most users online" record is now 2.4k+ because of the red army - death be upon them. that was a couple weeks ago, and all is good now. however i would like to know what limits the table. that is, can increase its limit somehow? if yes, how? ..and i also wish to clear the table automatically each day anyway, so if i get flooded by, maybe russians next, the daily cleaning would fix any potential issues. bump time.. i know staff avoid vb 3 topics, but try.. find your new year spirit and reply kindly. The maximum size of a MEMORY table is 16 megabytes with default settings. Your image shows it at 16.1 MB with over 9200 rows. This table should never be full unless you have an extremely active forum. Records will be deleted from it one hour after they expire. They expire based on your cookie timeout value in the AdminCP. In a default installation, this is 15 minutes. If you continually have this error, then you need to increase the available size or convert the table to INNODB if you're using MySQL 5.5. or higher. Last edited by Wayne Luke; Fri 4th Jan '19, 3:05pm. not active at all. but it was with 500/2000+ CN hackers or bots or something when this was happening. like i said, i ip banned them. now it's back to normal, since i posted op. All times are GMT-8. This page was generated at 4:55pm.